"This is a volume that is to be welcomed both for providing new and intersint findings, that suggest new answers to old questions, and for opening new and exciting avenues for future research." * Ecnomic History Review When discussing wages, historians have traditionally concentrated on the level of wages, much less on how people were paid for their work. Important aspects were thus ignored such as how frequently were wages actually paid, how much of the wage was paid in non-monetary form - whether as traditional perquisites or community relief - especially when there was often insufficient coinage available to pay wages. 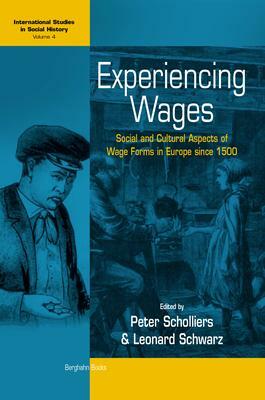 Covering a wide geographical area, ranging from Spain to Finland, and time span, ranging from the sixteenth century to the 1930s, this volume offers fresh perspectives on key areas in social and economic history such as the relationship between customs, moral economy, wages and the market, changing pay and wage forms and the relationship between age, gender and wages. Peter Scholliers works at the Center for Contemporary Social History, Free University Brussels, and Leonard Schwarz at the Department of Modern History, University of Birmingham. Peter Scholliers works at the Center for Contemporary Social History, Free University Brussels, and Leonard Schwarz at the Department of Modern History, University of Birmingham.